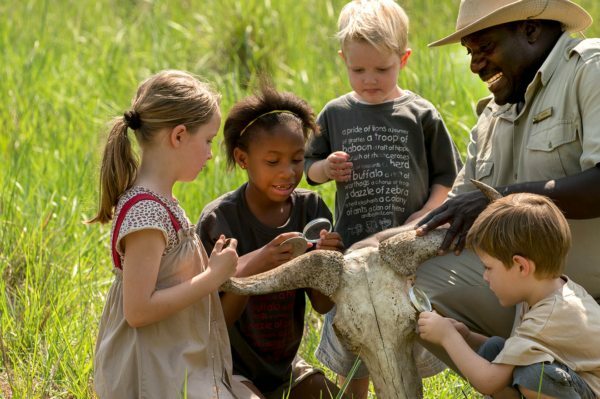 This luxury family safari has adventure for the whole family, from tracking rhinos to kite making and fishing. 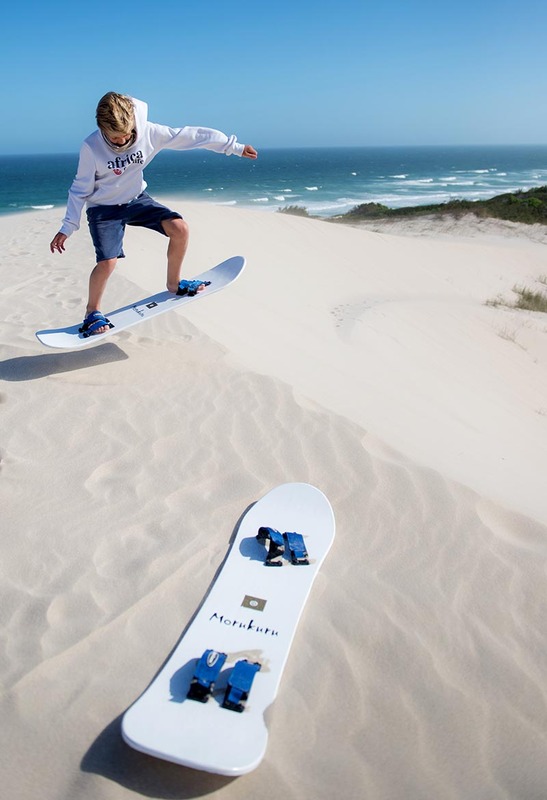 Discover Maputaland on game drives and beach excursions with scuba and snorkelling safaris before travelling to the Western Cape to enjoy whale watching and fynbos safaris, then finally soak up the vibrant city life of Cape Town with Cape Peninsula tours, sailing and wine tasting. Fascinating scenery that takes in the sunny shores of Maputaland and varied terrain of Phinda Game Reserve as well as the rich diversity of the Western Cape, from the fynbos-covered dunes and whale-rich waters of De Hoop Nature Reserve and the vibrant city life and maritime history at Cape Grace, overlooking Cape Town’s bustling V&A Waterfront. 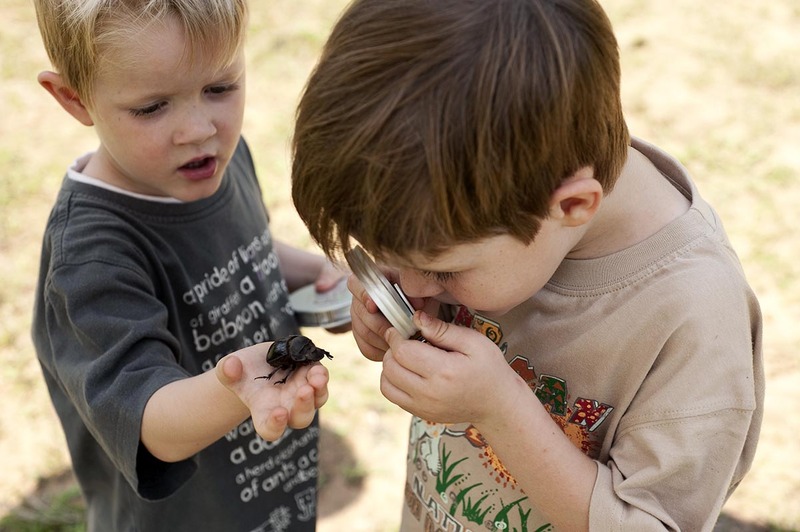 Family-friendly activities such as rhino tracking, game drives, beach excursions, snorkelling, scuba safaris, helicopter excursions, whale watching, Cape Peninsula tours, city sightseeing, cable-car rides and wine-tasting tours. 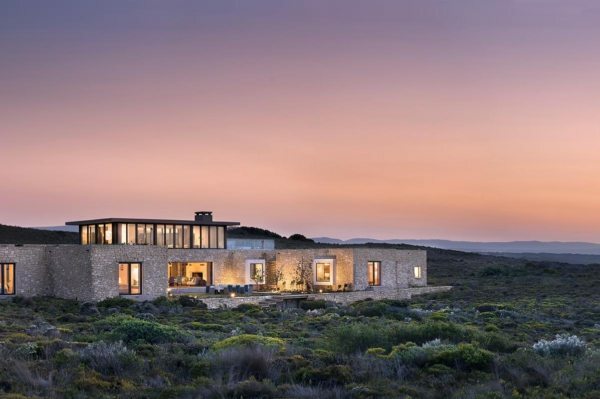 Range of family-friendly accommodation, with a four-bedroomed family suite at Phinda Mountain Lodge (sleeping four adults and four kids), the four-bedroomed sea-facing Ocean House (sleeping eight adults and four kids) and a three-bedroomed suite at Cape Grace (sleeping six adults and two kids). For more information see Phinda Mountain Lodge, Ocean House and Cape Grace. My two teenage children barely let us set our bags down at Phinda Mountain Lodge (or let us enjoy the stunning views over the reserve from its perch on the Lebombo Mountains) before dragging us off on our first rhino-tracking safari. We took a quick picture of the whole family dressed in our safari finest before we set off on foot with our guide and tracker team, Piet and Johan. Tracking rhino dung soon felt like hunting hidden treasure, and while the four of us were enthralled by all we learnt, the biggest thrill of all was seeing an old bull up close.After breakfast the next day, we left our teenagers socialising by the pool while we enjoyed a couple’s morning of spa treatments and catching up. We all met up that afternoon for a game drive; us, relaxed and reconnected, and the kids bronzed and brimming with energy. Spotting a cheetah and a rare black rhino was astonishing, although another surprise came after our lantern-lit dinner in the boma: a bubble bath drawn and waiting for us, while the kids (who hadn’t looked at their iPads once) found a fun assignment for the next day’s expedition laid out on their pillows!The vast, sandy beaches of the Maputaland coastline were our destination the next day, and we happily soaked up the sun and played rowdy beach games. While our two teenagers (not bickering for once) went off on their guided snorkelling trip, my partner and I, both experienced divers, discovered the underwater world by scuba diving. We were all delighted when we rejoined back at the beach with scores of sightings to compare. Mugs of hot chocolate in hand back at our villa, we went through our underwater pictures to see which group had the best sightings (and the best photos)!We woke early for our game drive the next morning, and our reward was to see the kids’ faces light up with joy as we spotted buffalo, countless birdlife and elephant, including several youngsters. They were as in love with the African bush as we were, and a cultural visit – where we discovered how the planet and its people are deeply connected – only cemented that love. We left with beaded necklaces that we’d made ourselves, and a few (much more elegant ones) that we bought as souvenirs. A private bush dinner under the stars awaited us, enjoyed to the sounds of night-time Africa.For our final morning at Phinda Mountain Lodge, we opted for a walking safari, where both our kids showcased their tracking skills – pointing out the spoor of a hyena and even recognising various trees and plants! So, although we were sad to leave the wonders of Maputaland, we knew we’d be exposed to many more in the Western Cape. My two teenage children barely let us set our bags down at Phinda Mountain Lodge (or let us enjoy the stunning views over the reserve from its perch on the Lebombo Mountains) before dragging us off on our first rhino-tracking safari. We took a quick picture of the whole family dressed in our safari finest before we set off on foot with our guide and tracker team, Piet and Johan. Tracking rhino dung soon felt like hunting hidden treasure, and while the four of us were enthralled by all we learnt, the biggest thrill of all was seeing an old bull up close. After breakfast the next day, we left our teenagers socialising by the pool while we enjoyed a couple’s morning of spa treatments and catching up. We all met up that afternoon for a game drive; us, relaxed and reconnected, and the kids bronzed and brimming with energy. Spotting a cheetah and a rare black rhino was astonishing, although another surprise came after our lantern-lit dinner in the boma: a bubble bath drawn and waiting for us, while the kids (who hadn’t looked at their iPads once) found a fun assignment for the next day’s expedition laid out on their pillows! The vast, sandy beaches of the Maputaland coastline were our destination the next day, and we happily soaked up the sun and played rowdy beach games. While our two teenagers (not bickering for once) went off on their guided snorkelling trip, my partner and I, both experienced divers, discovered the underwater world by scuba diving. We were all delighted when we rejoined back at the beach with scores of sightings to compare. Mugs of hot chocolate in hand back at our villa, we went through our underwater pictures to see which group had the best sightings (and the best photos)! We woke early for our game drive the next morning, and our reward was to see the kids’ faces light up with joy as we spotted buffalo, countless birdlife and elephant, including several youngsters. They were as in love with the African bush as we were, and a cultural visit – where we discovered how the planet and its people are deeply connected – only cemented that love. We left with beaded necklaces that we’d made ourselves, and a few (much more elegant ones) that we bought as souvenirs. A private bush dinner under the stars awaited us, enjoyed to the sounds of night-time Africa. 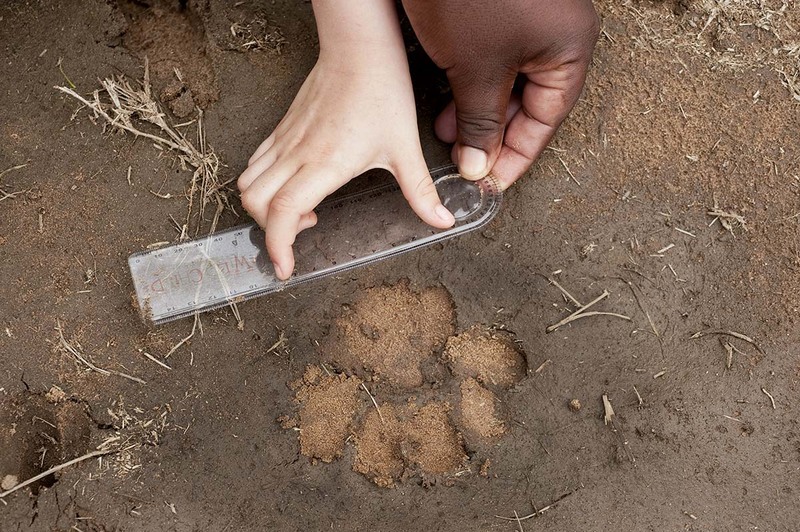 For our final morning at Phinda Mountain Lodge, we opted for a walking safari, where both our kids showcased their tracking skills – pointing out the spoor of a hyena and even recognising various trees and plants! So, although we were sad to leave the wonders of Maputaland, we knew we’d be exposed to many more in the Western Cape. The landscape became mountainous as we flew southwest towards Cape Town, where we were met for our road transfer to Morukuru Ocean House, set in the spellbindingly beautiful De Hoop Nature Reserve.With the choice of four ocean-facing rooms, we joked that we could each have our own, but although I loved the idea of my very own bathroom, I couldn’t imagine a night without my partner! While I sat captivated by sweeping views into the fynbos-coated dunes and aquamarine ocean of De Hoop, the excited shout from my son brought us all to the lounge to take turns on the telescope, watching whales as they passed by. The afternoon saw us enjoying our own pursuits – reading by the swimming pool, yoga and mountain biking, while our private chef whipped up an early dinner.The next morning, we left the lodge in a helicopter, which gave us a bird’s-eye view over the ocean and any migrating whale. Our pilot had an eagle eye of his own, and soon spotted a telltale spout of water. Soon, we were soaring above a pod of whales, getting as low as possible – without intruding – to observe mother-and-baby pairs swimming side by side. My daughter was uncharacteristically silent, while my son – with some clever tips from our guide – snapped pictures like a paparazzi photographer, until even he joined us in silent wonder, awestruck at witnessing this miracle of nature.We made the most of our last full day at Morukuru Ocean House by snorkelling among the rock pools and, later, sandboarding on the dunes. The kids had built rather elaborate kites with the help of the skilled staff, and while our butler brought us sundowners and snacks, they practiced flying their kites until the red orb of the sun disappeared behind the dunes. We all jumped in the hot tub while dinner was prepared (with several vegetarian options for my daughter), and dined under the stars before falling asleep in rooms warmed by roaring fires.As the morning mists parted, my son woke us up to watch whales as they passed our window, almost as if paying a last tribute to us before we left for Cape Town. The landscape became mountainous as we flew southwest towards Cape Town, where we were met for our road transfer to Morukuru Ocean House, set in the spellbindingly beautiful De Hoop Nature Reserve. With the choice of four ocean-facing rooms, we joked that we could each have our own, but although I loved the idea of my very own bathroom, I couldn’t imagine a night without my partner! While I sat captivated by sweeping views into the fynbos-coated dunes and aquamarine ocean of De Hoop, the excited shout from my son brought us all to the lounge to take turns on the telescope, watching whales as they passed by. The afternoon saw us enjoying our own pursuits – reading by the swimming pool, yoga and mountain biking, while our private chef whipped up an early dinner. The next morning, we left the lodge in a helicopter, which gave us a bird’s-eye view over the ocean and any migrating whale. Our pilot had an eagle eye of his own, and soon spotted a telltale spout of water. 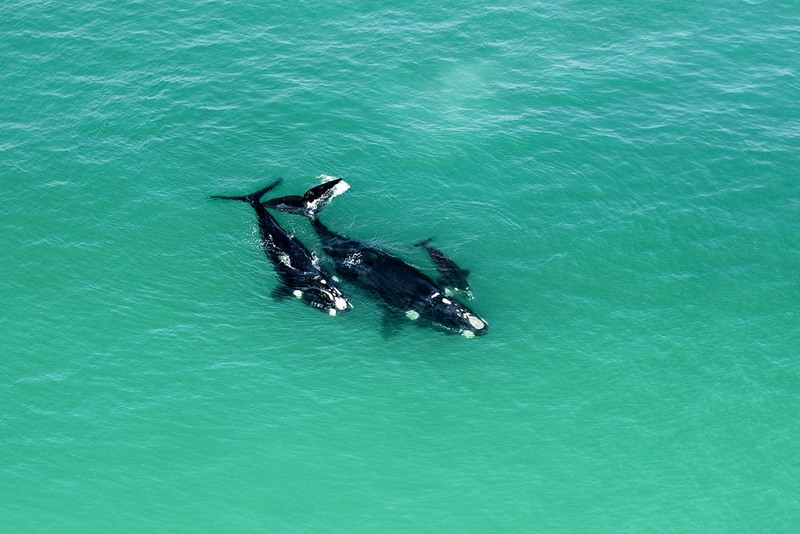 Soon, we were soaring above a pod of whales, getting as low as possible – without intruding – to observe mother-and-baby pairs swimming side by side. My daughter was uncharacteristically silent, while my son – with some clever tips from our guide – snapped pictures like a paparazzi photographer, until even he joined us in silent wonder, awestruck at witnessing this miracle of nature. We made the most of our last full day at Morukuru Ocean House by snorkelling among the rock pools and, later, sandboarding on the dunes. The kids had built rather elaborate kites with the help of the skilled staff, and while our butler brought us sundowners and snacks, they practiced flying their kites until the red orb of the sun disappeared behind the dunes. We all jumped in the hot tub while dinner was prepared (with several vegetarian options for my daughter), and dined under the stars before falling asleep in rooms warmed by roaring fires. As the morning mists parted, my son woke us up to watch whales as they passed our window, almost as if paying a last tribute to us before we left for Cape Town. 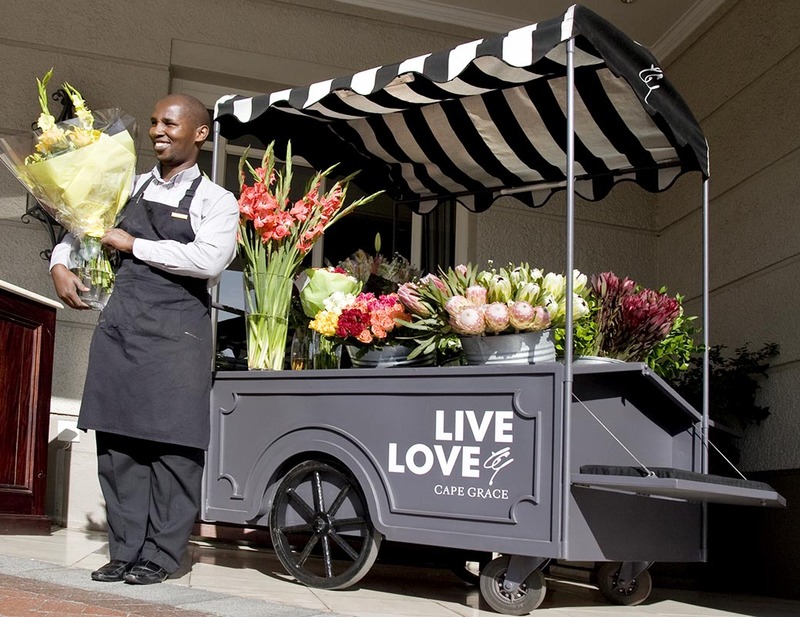 We arrived to a warm welcome at Cape Grace, set on its own quay next to Cape Town’s bustling V&A Waterfront. After a quick pitstop at the three-bedroomed suite that was our family’s base camp, we met at hotel’s Signal restaurant for lunch, where we were astounded by views over the marina and the cloud-covered Table Mountain. Lunch exceeded expectations and prompted another indulgence – afternoon whisky at Bascule Bar. This gave the kids time to go shopping, before we all met at the hotel’s exclusive yacht, Spirit of the Cape, for a sunset cruise. Our second day started when our private guide collected us from the hotel for our Cape Peninsula tour, which took us along a cliff- and coast-hugging road until our breakfast stop at Twelve Apostles Hotel and Spa. Stopping to see shipwrecks, coves and busy harbours, we snorkelled among Cape fur seals, drove up the steeply stunning Chapman’s Peak Drive, and enjoyed a private lunch near Cape Point. Other highlights were the African penguins at Boulders Beach and quaint Kalk Bay, where we stopped for ice cream and a stroll. What an unforgettable day! 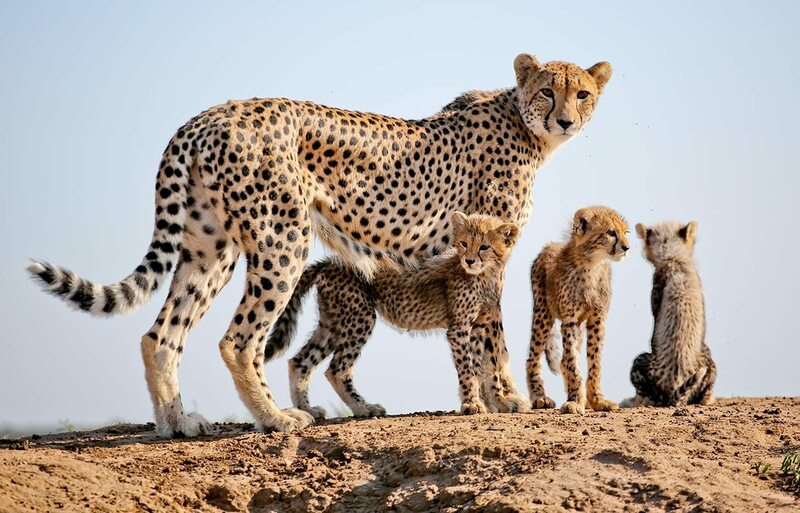 Our luxury family safari gave us a wonderful window into the life and culture of South Africa, from its wildlife and beaches to its vibrant people. We spent time in the beautiful Maputaland, discovering the Elephant Coast, known for its diverse wildlife. Indeed, rhino, giraffe, countless bird species and a kaleidoscope of marine life captivated the whole family at Phinda Mountain Lodge.We also experienced the wonders of the Western Cape, from pristine white beaches and dunes lapped by the warm Indian ocean to rock pools, coral reef and coastal fynbos. When southern right whales migrate to the shallow coastal basins off the Overberg coast for calving season, De Hoop Nature Reserve offers some of the continent’s best land-based encounters, and we proved this to be true, spotting whales almost every day from our window and through the telescope at Ocean House. We even observed a pod of these incredible mammals from the air.Cape Town’s rich maritime and cultural history came to life at Cape Grace, with its unique historical antiques and artefacts and food that pays tribute to the Cape’s colourful culinary past. We were blown away by the range of incredible activities on offer, from snorkelling with seals to getting close enough to see the tiny feathers on the African penguins.Best of all was knowing we were in a malaria-free area, which meant no risk of any of us getting sick and missing out on our safari. We had plenty of time for each other too, connecting as a family and as a couple, while my son and daughter, usually mired in sibling rivalry, discovered a new and closer dimension to their relationship.All our family-friendly accommodation really lived up to its promise, offering flexible schedules, menus and mealtimes – with staff that truly wanted to make our holiday special. We also left with some new skills: tracking, beadwork, photography and kite making, and for us adult connoisseurs – whisky- and wine tasting. The friendly smiles and effortless service from the staff at each of the luxury family lodges we stayed at will linger on, and we’re all agreed that South Africa is our favourite safari destination so far! 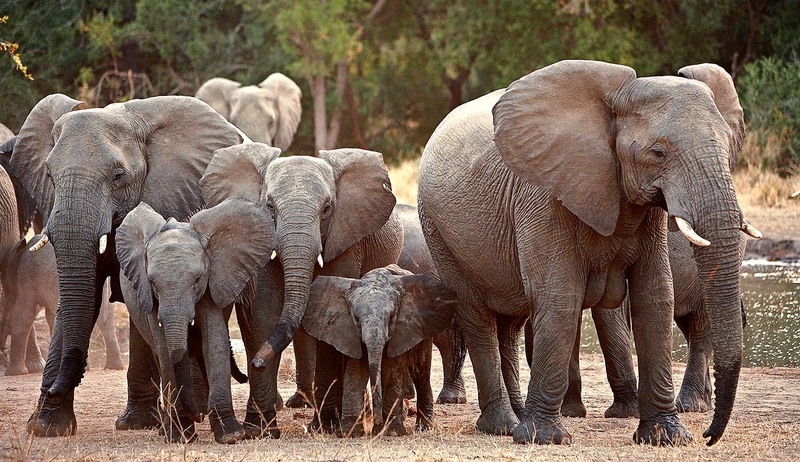 Our luxury family safari gave us a wonderful window into the life and culture of South Africa, from its wildlife and beaches to its vibrant people. We spent time in the beautiful Maputaland, discovering the Elephant Coast, known for its diverse wildlife. 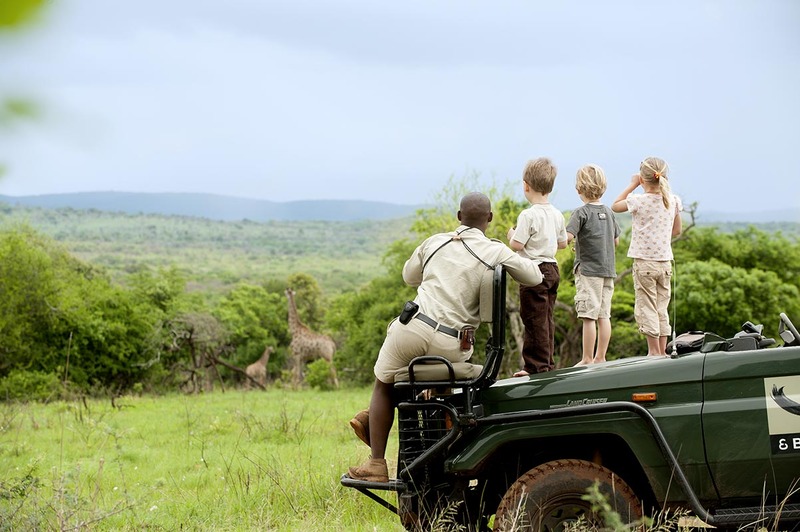 Indeed, rhino, giraffe, countless bird species and a kaleidoscope of marine life captivated the whole family at Phinda Mountain Lodge. 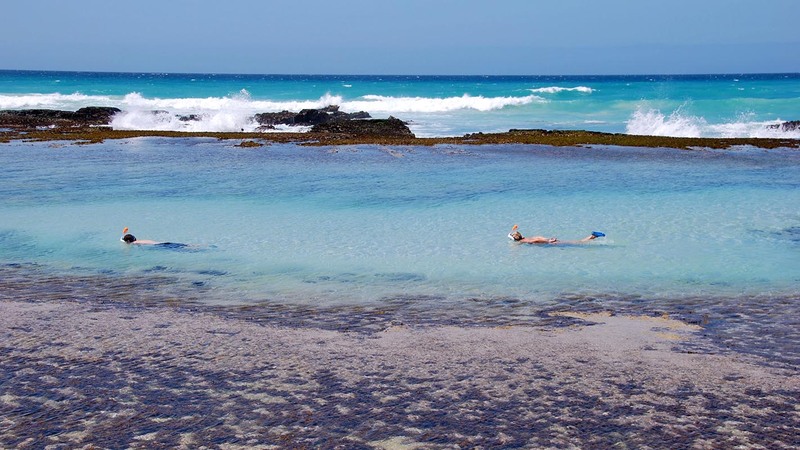 We also experienced the wonders of the Western Cape, from pristine white beaches and dunes lapped by the warm Indian ocean to rock pools, coral reef and coastal fynbos. When southern right whales migrate to the shallow coastal basins off the Overberg coast for calving season, De Hoop Nature Reserve offers some of the continent’s best land-based encounters, and we proved this to be true, spotting whales almost every day from our window and through the telescope at Ocean House. We even observed a pod of these incredible mammals from the air. Cape Town’s rich maritime and cultural history came to life at Cape Grace, with its unique historical antiques and artefacts and food that pays tribute to the Cape’s colourful culinary past. We were blown away by the range of incredible activities on offer, from snorkelling with seals to getting close enough to see the tiny feathers on the African penguins. Best of all was knowing we were in a malaria-free area, which meant no risk of any of us getting sick and missing out on our safari. We had plenty of time for each other too, connecting as a family and as a couple, while my son and daughter, usually mired in sibling rivalry, discovered a new and closer dimension to their relationship. 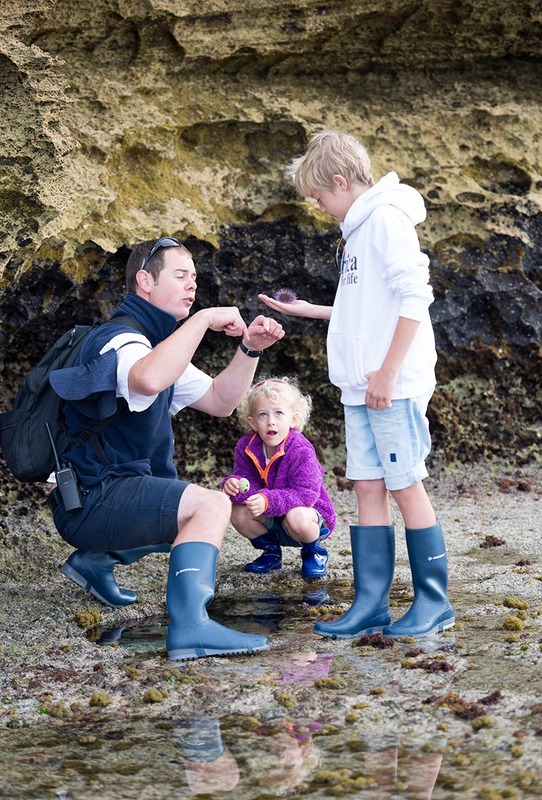 All our family-friendly accommodation really lived up to its promise, offering flexible schedules, menus and mealtimes – with staff that truly wanted to make our holiday special. We also left with some new skills: tracking, beadwork, photography and kite making, and for us adult connoisseurs – whisky- and wine tasting. The friendly smiles and effortless service from the staff at each of the luxury family lodges we stayed at will linger on, and we’re all agreed that South Africa is our favourite safari destination so far! 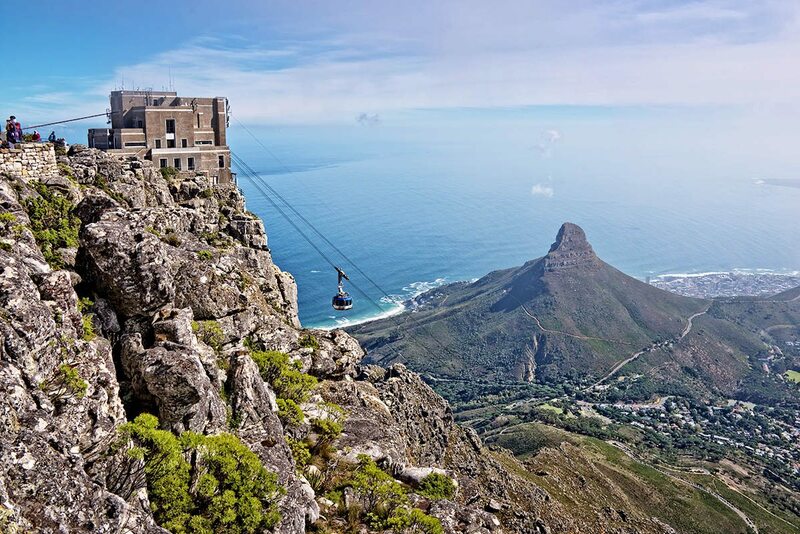 Take a cable-car ride up Cape Town's famous Table Mountain. Visit the penguin colony at Boulders Beach in Cape Town. You’ll be met as you disembark from your international flight at OR Tambo International Airport in Johannesburg, and assisted through customs and immigration. 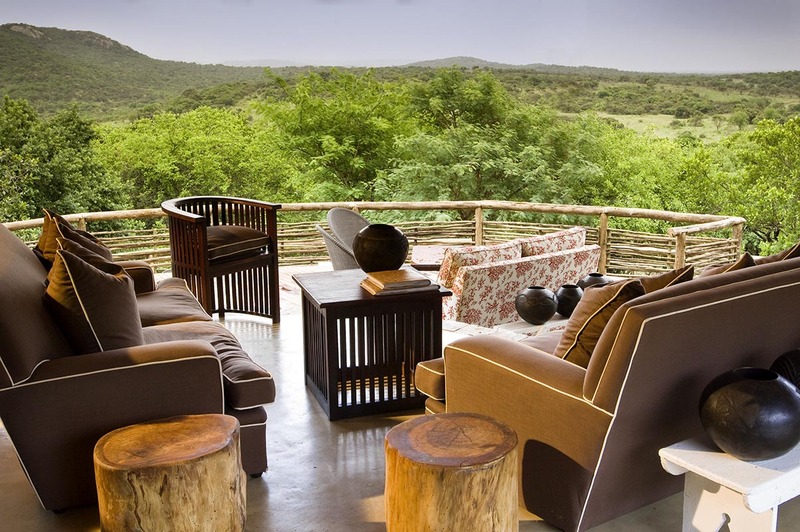 After a scheduled flight to Richards Bay, you’ll take a transfer to Phinda Mountain Lodge, where you’ll spend four nights in a family suite. 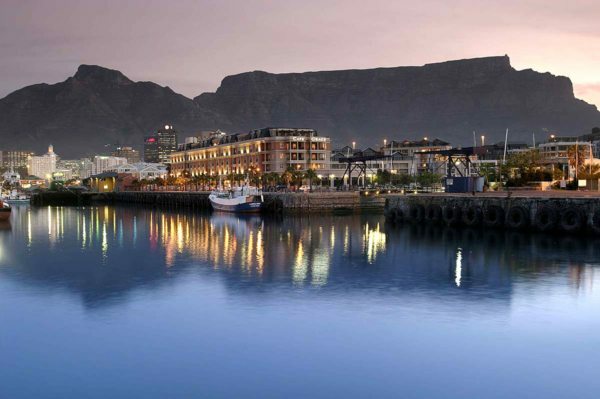 After a transfer from Phinda Mountain Lodge to the airport, you’ll take a scheduled flight to Cape Town. You’ll then take a transfer to Ocean House, where you’ll spend three nights. A transfer will take you from Ocean House to Cape Grace, where you’ll spend three nights in a three-bedroomed suite. 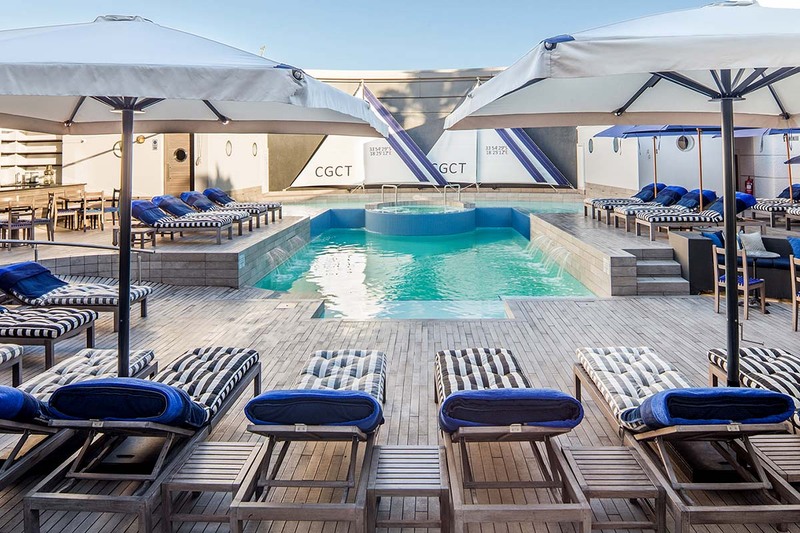 After a private transfer from Cape Grace to the airport, a scheduled flight will take you to OR Tambo International Airport in Johannesburg, to connect with your international flight. We also offer a curated selection of South Africa safari packages, wrapped and priced for your convenience, click here to explore them. Morukuru Ocean House, a private South Africa safari house, has a full team of staff accommodating your needs, so you can spend quality time with your family. 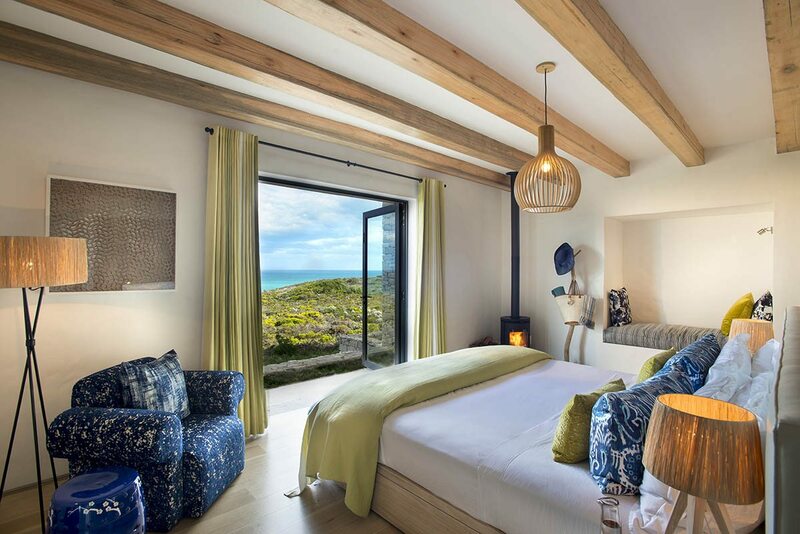 Set in De Hoop Nature Reserve, with stunning ocean views, you might even spot southern right whales from your window. 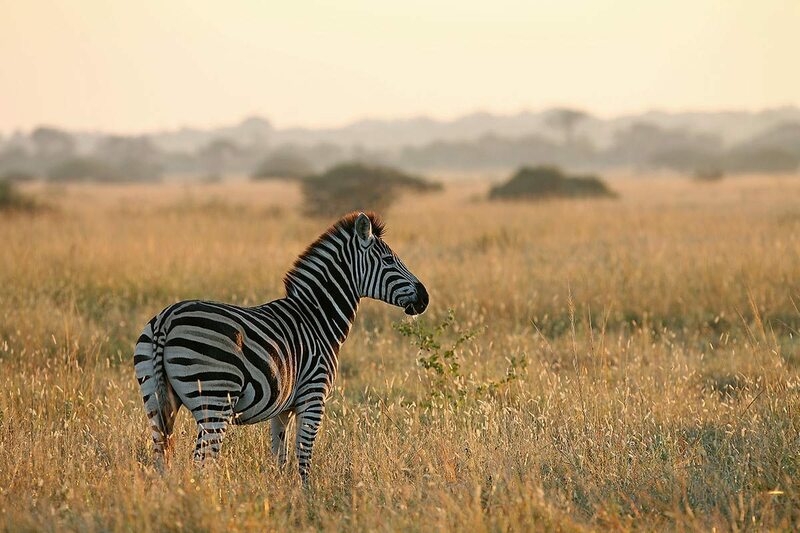 A honeymoon safari in Namibia and South Africa that takes in both the vast expanse of Etosha and the orderly vineyards of the Cape Winelands provides the ideal backdrop for romance, and you’re bound to return home more in love than ever – with Namibia, South Africa and each other. This luxury safari includes stays at some of the most distinctive luxury lodges in South Africa, Botswana and Zimbabwe. Strikingly stylish accommodation at Ngala Tented Camp, San Camp and Matetsi River Lodge both complements and contrasts with landscapes that inspire wonder, relaxation and your innate sense of adventure. Discover the scenic Garden Route and rock art of the Cederberg on this nine-night itinerary in the Western Cape. Your luxury South African safari includes tented camps, forest stays and luxury suites, with game drives, walking safaris, boat trips, flower trails and rock-art excursions to keep you entertained. A luxury South African safari effortlessly combines genuine wilderness with the best of sophisticated luxury – often all in the same day. Close encounters with majestic wildlife fit comfortably into an itinerary that also includes serene stargazing, strolling along white-sand beaches, and private yacht cruises along the Atlantic Seaboard. Whether your interests run to the gastronomic or taxonomic, South Africa has something for everyone. 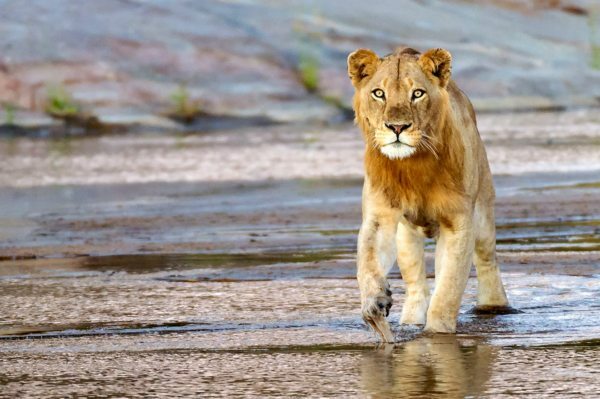 This luxury South African safari of eight nights includes ocean views in Cape Town, epicurean delights and wonderful wines in Franschhoek and unforgettable wildlife in the Sabi Sand/Greater Kruger area. This carefully planned luxury safari and beach break is South Africa and Mozambique’s twist on a ‘surf and turf’ menu. Phinda Vlei Lodge’s inland bush location ticks all the game-viewing boxes, while White Pearl Mozambique is an idyllic ocean retreat that couldn’t be closer to the beach. A luxury South Africa safari is all about living in the moment, from the thrill of watching wildlife at close quarters in reserves such as Madikwe and Sabi Sand to indulging in sumptuous luxury in a Cape Town boutique hotel. The thrill of the new sits easily with old-world pleasures.